A rewarding nursing career in Alexandria, Virginia, begins with a certificate or degree from an accredited nursing school. Fortunately, the city of more than 150,000 inhabitants is home to a number of accredited schools that offer nursing programs at all levels. For example, Global Health College offers preparation for several different nursing careers, while Saint Michael College of Allied Health has a flagship associate in applied science (AAS) degree. Some of the most common nursing career paths include registered nurse (RN), certified nursing assistant (CNA), and licensed practical nurse (LPN). RNs make up the nation’s largest healthcare occupation, with a growing population of more than 2.75 million nationwide. Virginia is home to approximately 63,340 RNs. Alexandria-based RNs earn an average annual salary of $77,820. High performers can earn $91,000-$102,000 or more per year. Expected employment growth for RNs is 16% over the coming decade. CNAs comprise the second-largest healthcare occupation, with a population of more than 1.4 million nationwide. Virginia is home to approximately 35,790 CNAs. Alexandria-based CNAs earn an average annual salary of $28,920. High performers can earn $33,000-$38,000 per year. Expected employment growth for CNAs is 18% over the coming decade. LPNs belong to a group of nearly 720,000 professionals across the United States. Virginia is home to 21,410 LPNs. 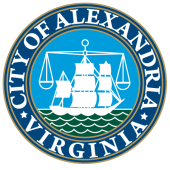 Alexandria-based LPNs earn an average annual salary of $49,380. High performers typically earn $56,000-$62,000 per year. Expected employment growth for LPNs is 16% over the coming decade. Below is a list of schools in Alexandria, Virginia, that offer accredited nursing programs in one or more areas of this rapidly growing career path.